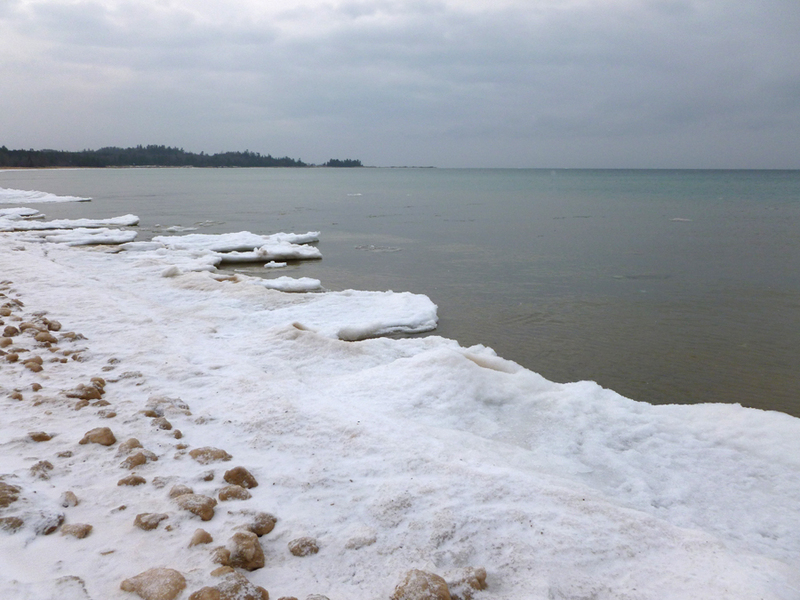 last december was a warm winter for Lake Michigan. 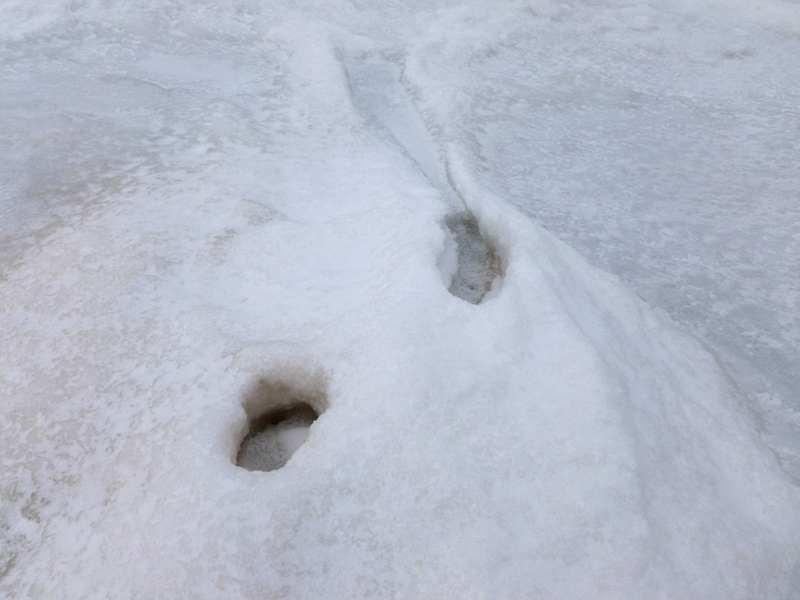 only a varying ten foot ice shelf incased the northeaster shore after a series of short freezes and thaws. 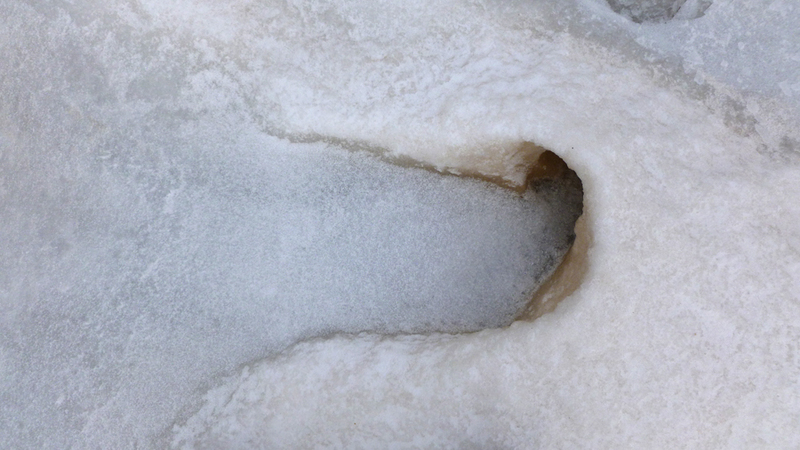 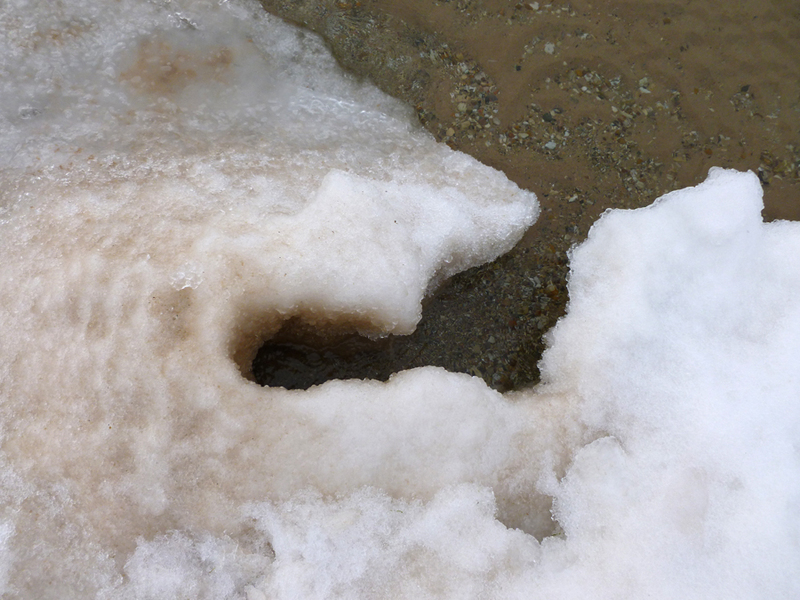 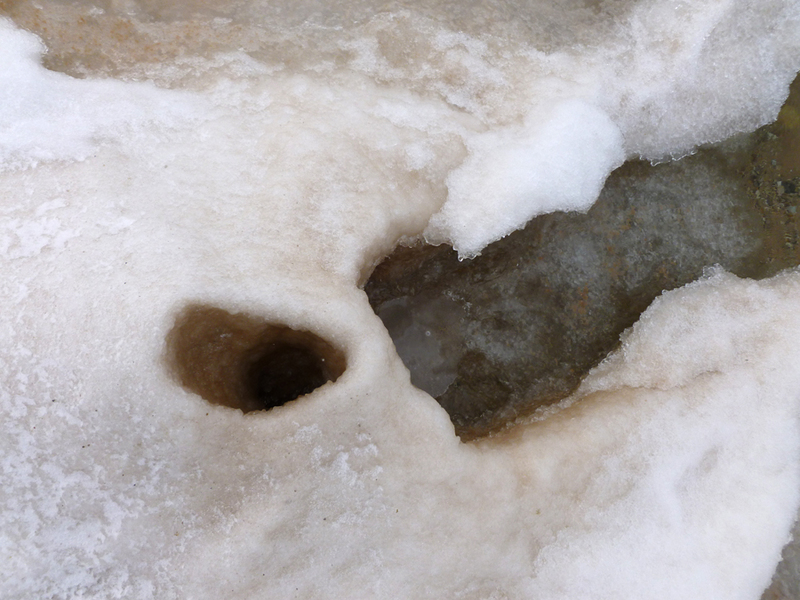 but because the temperatures hovered above and below 32 degrees fahrenheit, small water canals to ice-cone spouts were formed and dotted the edge of this ice-shelf shore. 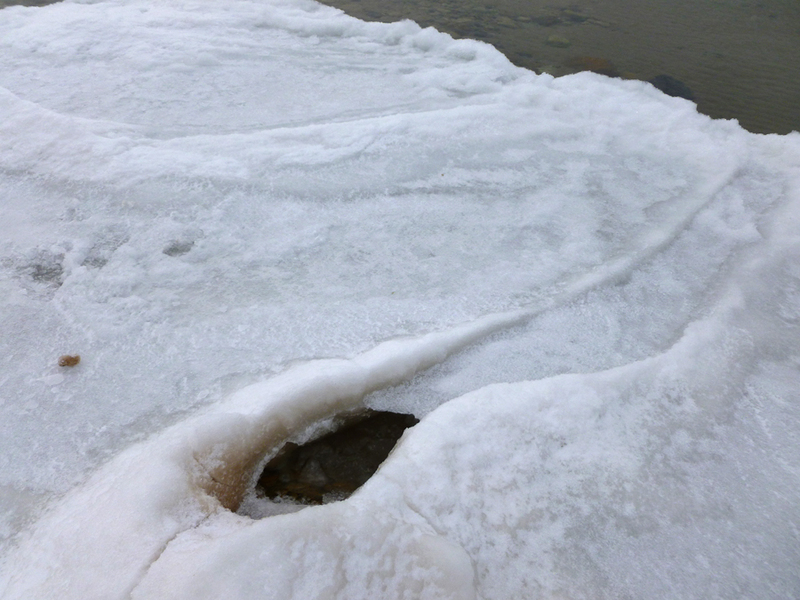 each one redirected the fresh water up and out as the waves moved towards shore making for a reconfigured playful landscape margin.